These wonderful activity books for Catholic children feature 25 reusable easy-peel stickers each. 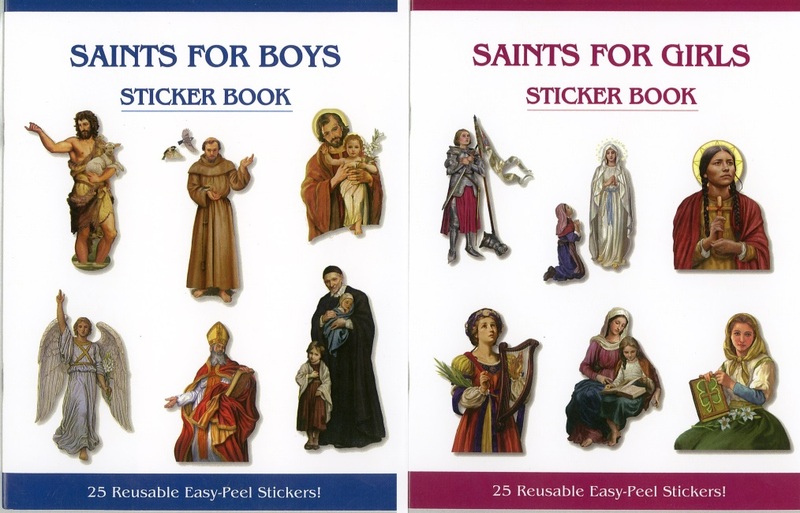 Children can read the names and a brief biography of the Saints in the book, and choose the sticker that fits in the appropriate space. They can also use these stickers to make holy cards and greeting cards or to decorate their own books. 8.5 x 11 Inches. Full Color.